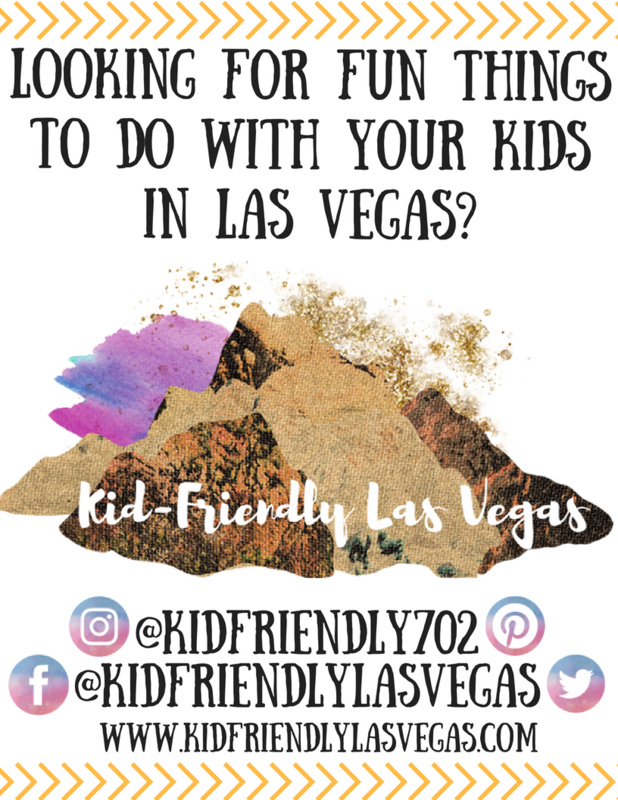 September 2018 Kid-Friendly Things To Do in Las Vegas, NV. Make sure to like our Facebook page and follow us on Instagram for daily updates! Barnyard, bounce house, and barn tours to meet the horses until 2 PM. Located within historic Floyd Lamb Park at Tule Springs. Open until 2 PM for barnyard visits, bounce house playtime and hang time with the horses. Volunteers welcome, ages 16 and older. Horse Rides are always $5 for Service Members, Veterans, First Responders and their families. 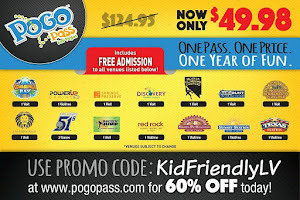 Pay $6 to enter the park and they will take $5 off your rides. Email events@horses4heroes.org for more information. This Fall, Downtown Summerlin presents Summerlin Sounds, an outdoor Fall concert series! Relax and enjoy live music, kids activities and more in a beautiful outdoor setting to the backdrop of Red Rock at The Lawn! Featuring an exciting lineup each week with a different sound and style guests are invited to bring lawn chairs and blankets for fun under the stars. *Alcoholic beverages are not allowed to be brought on The Lawn but available for purchase. Free archery range challenge, Free bait toss challenge, Free photo download, Free duck pond game with free kids prizes to win! The Marquee at Boulevard Pool transforms into a colossal movie screen, showing your favorite films high above the Las Vegas Strip. FREE for hotel guests and children under 5. No advance tickets or reservations - all tickets purchased are processed at the door on the night of the movie. The pool remains full and is available for swimming and lounging during the movie. Entrance is on Level 3, via Boulevard Tower escalators. Bring the family to enjoy the movie “Star Wars: The Last Jedi,” along with free popcorn and water while supplies last. Food trucks will have refreshments available for purchase. Lawn seating; bring low chairs and blankets to be more comfortable. Celebrate our active military, veterans, first responders and their families. Over 60 vendors from through the valley will be at this one-day event. There will be entertainment, interactive games and more in the Kids Zone, and of course, performances from some amazing live acts. Visit us at www.NLVevents4military.org to volunteer or to learn more about our organization. Friends and family (up to 6 additional guests) will receive $14.99 admission. Tickets are only available at the park and not online. Offer is not valid for spouses, only those Active or Veterans. Military or Veterans will receive FREE admission for themselves and 1 guest when they present their badge or ID. Leslie will be reading "Click, Clack, Quack to School" by Doreen Cronin and Betsy Lewin. After the story children will have a great time coloring pictures of the farm animals featured in the book. Your donations for this event benefit the animals. Visit As They Grow Sale website at www.AsTheyGrowSale.com for more general information. The festival celebrating the spirit of San Gennaro will feature Italian and International food and music, gigantic fireworks, amusement rides, arts and crafts, free live entertainment from the Las Vegas Strip, local kids singing and dancing groups, and much more fun for the whole family! Get More Info & Register HERE. Dozens of local artists, farm fresh produce vendors, face painting, live music, horse and pony rides, food and drink and so much more. Henderson's favorite food and music festival featuring local restaurants, live music and activities. Admission is Free. Food is available for purchase. Local restaurants include Country Roads Kettle Corn, Da' Crust Pizza & Kitchen, Gold Mine Tavern, Meats Gone Wild, Public Works Coffee Bar, Proof Tavern, Romano's Macaroni Grill, Slice 19, Tucky's BBQ, The Steamie Weenie, and The Sugar Cookie. Try food from over 30 of the valley’s top eateries. The one-day event features dozens of local and national restaurants and chefs, serving up samples of their signature dishes. Amusement rides, bounce houses and more in the Kids Zone, and of course, performances from some amazing live acts, including Jewel, Echosmith, Hoobastank, MAX, A Great Big World, Ocean Park Standoff, Willa Amai and more! General Admission: $20 (plus fees); VIP: $80 (plus fees; single admission, including two meal vouchers, drink vouchers, free water and soda and access to a premium area located in front of the stage). AT THE DOOR: $25 (plus fees). Students and military veterans (with proper ID) get $5 off. First responders (police, fire, EMT personnel) and active military (with proper ID) are FREE! For more information and to Buy Tickets click HERE. Come experience the sights, smells, and tastes of the Nevada frontier with wood branding, freshly squeezed lemonade, spinning, quilting, weaving, the Old Time Nevada Fiddlers, a bluegrass band, an appearance from Jackson the Burro and Carson the Mustang, and costumed interpreters ready to bring the past to life. There will be games, arts, and crafts for all ages, including homemade whirly-gigs, rag doll making, potato sack races, and hobby horse races. Discover what school was like for pioneer children and learn how to square dance as our volunteers demonstrate how it was done almost two hundred years ago. The park charges a $10 entry fee per vehicle and this event has no additional costs. Enjoy Free Ice Cream at the Annual Sunny 106.5 Ice Cream Sunday. In addition to the frozen treats, courtesy of Meadow Gold, there will be kid-friendly activities and ice cream-eating contests, food trucks, a variety of booths, and the Sunny 106.5 team will be on-site with great prizes like tickets to Legoland California, SeaWorld San Diego, iHeartRadio Music Festival Daytime Stage tickets and more. Attendees also can enjoy Huckleberry Park’s multi-use events field, full court basketball, swings, picnic area and shade ramada. Well-behaved leashed pets are welcome, and they can play in the venue’s large and small dog parks. Family friendly festival with food, vendors, music, and activities for the kids. Fresh, local produce, handcrafted goods, and specialty items as well as live music. Kids ages 18 months - 5 years are welcome with their parent or guardian! FREE 20-MIN KIDS CLASSES, for a limited time, with paid admission on Tuesday Mornings! Combining music, movement, storytelling, and fun! FREE ARTS & CRAFTS SESSIONS, for a limited time, with paid admission on Wednesday Mornings! Combining play, imagination, motor skills and fun! Children can enjoy an interactive storytime at Town Square Park every Wednesday. Third Saturdays each month, Regular fare applies, No extra charge. 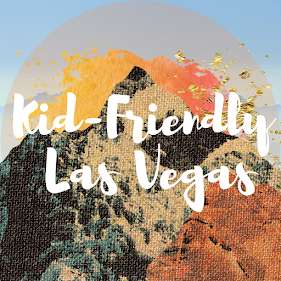 Kid-Friendly Las Vegas is not responsible for any changes made by the hosts of these events.